Put turkey carcass with most of the meat removed into a large soup pot. Cover carcass with filtered water. Add two tablespoons cider vinegar. Bring water to a boil. Reduce heat and simmer for four hours. Place a fine-mesh strainer over another large pot. Strain broth through it. Remove any meat. Add salt to taste or add your favorite herbs and spices. 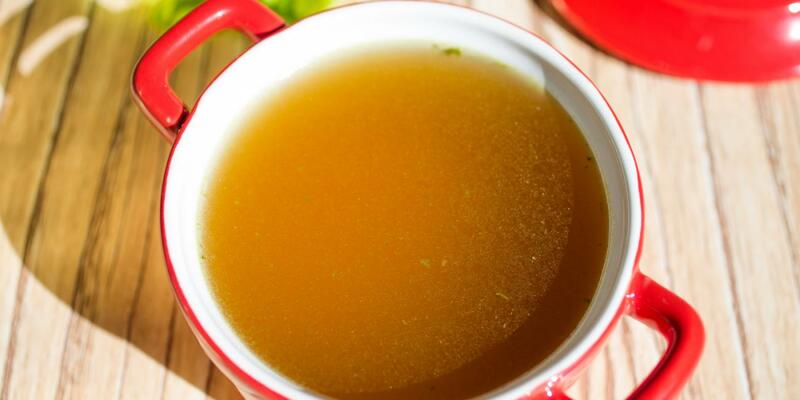 You can enjoy broth on its own or use it for your favorite soup.